How can human talent stay relevant in the face of evolving machine learning technologies? 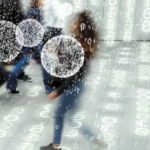 As more and more knowledge work becomes automated over the coming years, how will it shift our thinking around human intelligence and skills? Between 1997 and 2007, industrial robots were responsible for the loss of up to 670,000 U.S. manufacturing jobs. Such losses will only continue, with the number of industrial robots expected to quadruple1. But blue-collar jobs are no longer the only ones at risk. Thanks to the advent of smart machines, white-collar workers too can expect to be replaced by “thinking” technology. For example, IBM’s Watson put 34 employees at the Japanese Fukoku Mutual Life Insurance out of a job at the start of 2017. With this automation, the insurer expects to increase productivity by 30 percent and save $1.65 million per year2. What can you do to smooth your transition to the “Smart Machine Age” — which is already upon us — and preserve your place in it? In Humility Is the New Smart, coauthors Edward D. Hess and Katherine Ludwig write that, since it’s hopeless to try to beat machines at their own game, you should just play a different game, arguing paradoxically that the best way for you to adapt to the new machine age is to become more human. the world as it is, unblinded by self-interest and self-deception. “In the SMA,” they write, “the winners will be those people who are less self-absorbed, because we need to open our minds, accept our mistakes and weaknesses, focus outward, and enlist others to help us think, innovate, create, and continually learn.” They define the “New Smart” by the quality of your thinking, listening, relating, and collaborating; your ability to handle uncertainty; and your openness to testing beliefs and trying new ideas. 1. “Evidence That Robots Are Winning the Race for American Jobs”, par Claire Cain Miller (The New York Times, 28 mars 2017). 2. “Artificial intelligence to replace human staff at Japanese insurance company” (Australian Broadcasting Company, 6 janvier 2017). 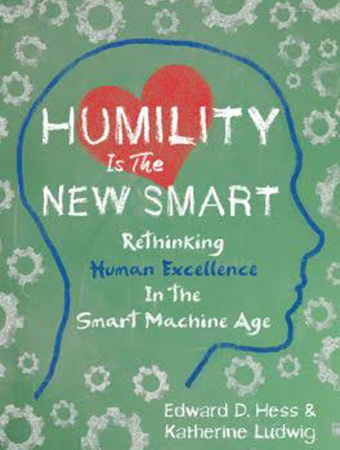 Based on Humility Is the New Smart: Rethinking Human Excellence in the Smart Machine Age, by Edward Hess and Katherine Ludwig (Berrett-Koehler Publishers, 2017).